I’m supposed to be doing my morning jog but I got distracted by the rich, colorful window of local delecacies and treats! 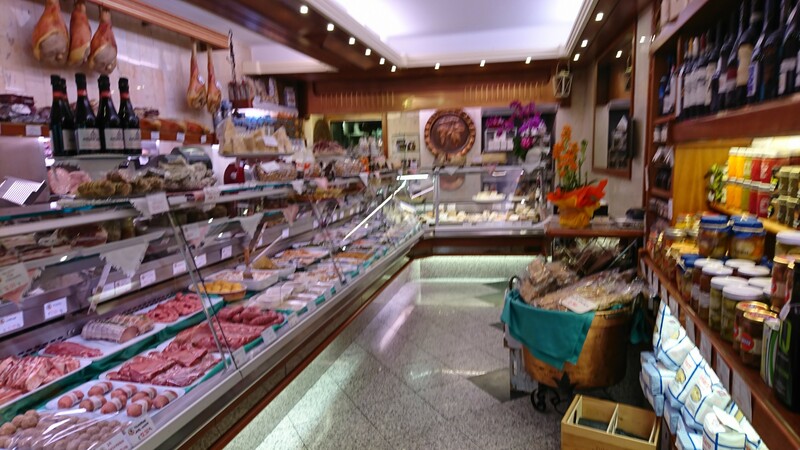 Bottega del Maiale is a delicatessen with high quality food products in the center of Lecco. Fresh prosciutto, bresaola, homemade pasta, wines, oils, marmelades and thier signiture salads and ready made specialties.